Not everyone needs to wear a suit, nor does everyone need one. That said, there are probably plenty of times a male entrep will have to attend an event that does merit one. 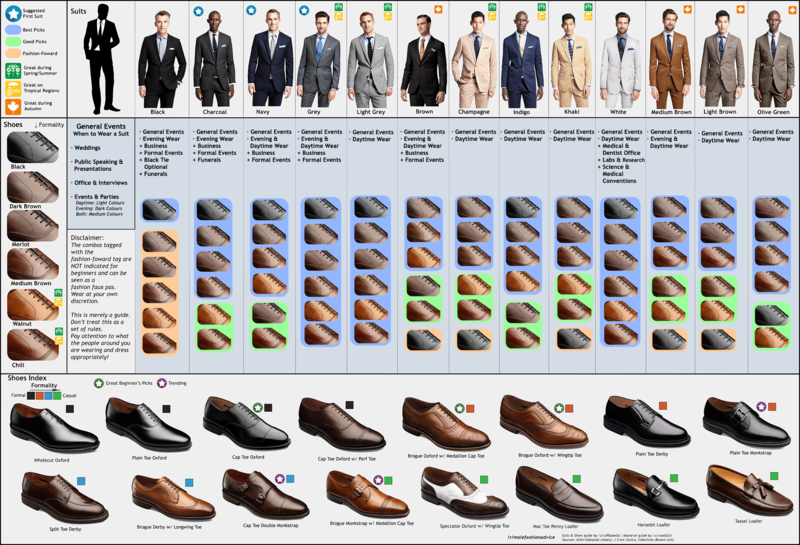 If you feel that you actually need a business suit for something, but you feel you don’t know the first thing about them, Reddit user /u/stRafaello created this handy guide based on recommendations by /u/rootb33r. Created by /u/stRafaello; based on a guide by /u/rootb33r. Originally found here. This guide is just that — a guide. This isn’t a rulebook, and only makes sense in a general Anglo-American/Western European context. If you’ve got more avant-garde tastes or are going for a more eccentric look, you’re probably better off looking elsewhere. For the rest of us non-suit wearing types though, this is an excellent starting point for looking like a million bucks. Dress for the job you want, and all that. Does this infographic make sense to you? Why or why not? Comment below!